An atom is said to contain only a nucleus and electrons. Which among the two represents the elementary matter? For example if we consider a gold atom where is the gold present, in the nucleus or in the electrons? How much energy/force would it take to move an atom it's own diameter? The properties of an element are determined by both its nucleus and it electrons. It doesn't make much sense to say the gold is "present" in either, they both are the gold. Both the nucleus and the electrons can "vary". e.g. different numbers of neutrons in the nucleus makes for different isotopes of an element; different numbers of electrons makes for ions. An atom is said to contain only a nucleus and electrons. That is pretty much the definition of an atom (as long as we say the number of electrons equals the number of protons). Which among the two represents the elementary matter? It depends how you define "matter". But I would say that protons, neutrons and electrons (and, basically, all fermions) are matter. For example if we consider a gold atom where is the gold present, in the nucleus or in the electrons? Gold contains atoms, atoms don't contain gold. It is the 79 protons, 118 neutrons and 79 electrons that make it a gold atom. The nucleus of gold atom may be considered as an ion consisting of 79 protons, so the nucleus of gold atom is gold. It is the nucleus which determines what the element is. because cations appear usually only in chemistry where the bare nuclei don't appear, except for the proton. This may sound strange, a proton is a particle and a part of an atom, and by definition an atom is the smallest piece into which matter can be divided so that the constituents of atoms are not the same matter as atoms themselves. What distinguishes the proton and hydrogen is the concept called spin. The particles of matter are fermions with half integer spin. Atomic spin is thought to be obtained by combining the spins of the constituents of atoms. Hydrogen spin is not 1/2 but is related to atomic spin. 1) in fact the so-called H⁺ cation does not seem to have much of an independent existence as a "bare" proton in chemistry. It is generally bound to a solvent molecule, in the aqueous case H₃O⁺. 2) I'm not sure I follow what you are saying about spin of the hydrogen atom. I don't think we generally talk about the spin of an atom overall, even for hydrogen, since the spin of the electron and that of the proton are virtually independent. They are only very weakly coupled, as can be seen in the hyperfine splitting of the energy levels of the electron. So I don't quite see how spin "distinguishes" hydrogen from other atoms, as you appear to be saying. Can you clarify? I am a layman thinking about the new model of atom. There it is written that " The net nuclear spin plus the net spin due to all the electrons give us the Atomic Spin". I am not convinced about this. In my calculation I did not need the spins of electrons to arrive at Hydrogen spin. when these start rotating into opposite directions, similar to an object and the same object in mirror, these rotate into opposite directions. When these protons start rotating, hydrogen is born with spin 1. Anti-matter is needed for matter to be born. rotation, either clock- or counterclockwise. Without the direction of rotation, there would be no rotation,no movement. This means that the proton with spin 1/2 completes a full 360 degrees rotation and thus can now be considered as a spin 1 particle. It could be that this is the way how a fermion turns into a boson.I model the proton similar as a blade of a sickle, the blade represents the spin 1/2 particle because it has made only 180 degrees of rotation. 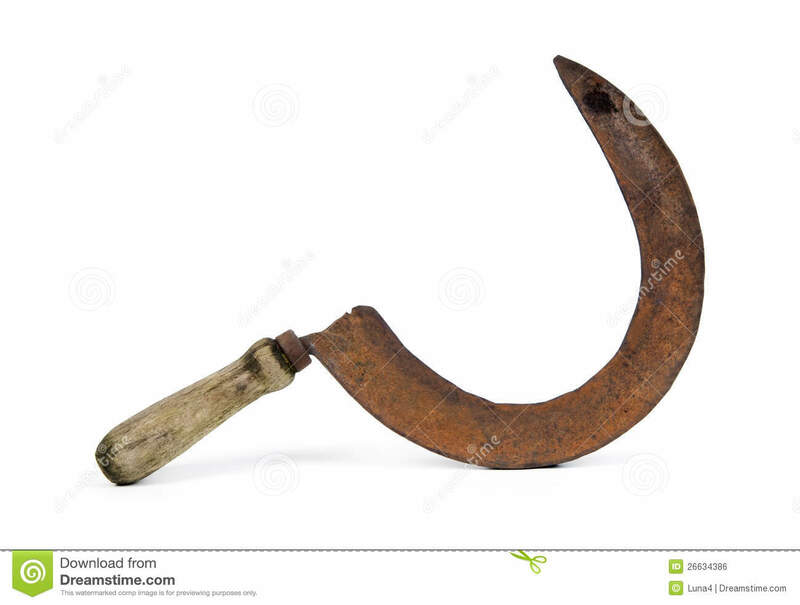 When the sickle starts rotating as a whole, the blade completes a full circle, whereas the handle makes only a half circle. gives rise to all other elements through fusion. Bosons are capable of fusing into each others. Atomic nucleus is matter, it is the same matter as the "complete atom", or unionized atom. between the proton and hydrogen which only spin can make. There seems to be a lot of dodgy reasoning in what you saying. The hydrogen nucleus, being a simple proton, has spin 1/2. So does an electron. The electron can have its spin oriented either in the same sense as the nucleus, or in the opposite sense. But we do not observe hydrogen atoms in the latter category to behave as bosons, which we should do if we could properly speak of the whole atom having a net spin of zero. Not being a proper physicist I do not have a complete answer as to why this is, but it does occur to me that the rate of interconversion between spin up and spin down orientations of the electron may be so rapid that the net spin zero atoms don't have any long term existence. You seem to be generally very confused indeed about the spin of elementary particles. The spin is intrinsic: they do not "start" spinning at any stage. So it is not true to say that hydrogen is "born" when its nucleus "starts rotating". And nor is hydrogen "born" of a proton and an antiproton. If you put this pair of particles together they will annihilate, giving you nothing but gamma rays. As for other elements, they formed, cosmologically speaking, by fusion of hydrogen nuclei in stars. But since the hydrogen nucleus is not a boson, your statement that it is bosons that fuse cannot be true, surely? And the key distinction between a proton and a hydrogen atom is not spin at all. It is (rather obviously) the presence of the electron, which gives it electrical neutrality and its other physical and chemical properties. So how do the fermions fuse? The Pauli exclusion principle forbids two fermions from occupying the same state. What is the distinction between a proton and hydrogen? Is a proton the same matter as hydrogen? but the difference between a proton and hydrogen. Is a proton hydrogen? Hydrogen is not "born". It is a chemical element. Sure two fermions can't occupy the same state, but what makes you think they have to do this in order to fuse? If you read Wikipaedia you will see that in nuclei containing several protons and neutrons, they occupy different states within the nucleus. Just as in multi-electron atoms, the electrons occupy different states within the atom. You seem to be trying to make a distinction between "hydrogen" and a hydrogen atom. Hydrogen is the name of the element, and it consists of hydrogen atoms. That's all there is to it. Proton matter makes fairly little sense to me, as without electrons a collection of protons will experience enormous electrostatic repulsion and will fly apart. The distinction between a proton and a hydrogen atom is the presence of an electron to provide electrical neutrality. And the elemental substance hydrogen is made of such atoms. (Under normal earthly conditions, this will be in the form of diatomic molecules). Most likely hydrogen is not eternal. Matter was born at the Big Bang. It is natural to think that in order to fuse, the two particles should try to occupy the same state. Otherwise they can't fuse. Somehow a fermion must be able to turn into a boson in order to fuse. No. I don't try to make a distinction between hydrogen and a hydrogen atom. A hydrogen atom is hydrogen, of course. I am trying to make a distinction between a proton and hydrogen. An atom is different than its nucleus. Should also a hydrogen atom be different than its nucleus. I asked what is the distinction between hydrogen and a proton? Is a proton hydrogen? You personally may find it "natural to think" that in order to fuse, two particles should try to occupy the same state, but that does not mean that they have to do so. Consider how a molecule of hydrogen forms. Both electrons are in the same atomic state as the two atoms come together. But, as they get close enough each electron starts to feel the electric field of the other nucleus, the shape of the potential experienced by the electrons ceases to be spherical and, lo and behold , a new set of molecular orbital states comes into being, in place of the two separate atomic states. The electrons then occupy these, obeying Pauli's Exclusion Principle because they are fermions. In the case of the hydrogen molecule, there are only 2 electrons to accommodate, so they can both go into the ground state orbital so long as their spin orientations are opposed. See the section on the proton-proton chain reaction. This makes it perfectly clear that 2 protons can and do fuse. So from where do you get this idea that only bosons can fuse? You seem to have simply made it up. Anyway, it is wrong and you should abandon it. As to your question about whether a proton is hydrogen, the answer is both yes and no. A proton is, chemically speaking, a hydrogen ion, just as Na+ is a sodium ion. But elemental sodium needs more than just sodium ions to form: its needs its electrons too. And elemental hydrogen needs its electrons to form. This is so obvious that I am rather struggling to understand the purpose of your question. Maybe I simply made up an idea that only bosons can fuse. But that does not necessarily make it wrong. It should be abandoned only if it is wrong, not because I made it up. they turn into bosons at fusion reaction. So I don't say that 2 protons can't fuse. Because they certainly can fuse. Just how do they fuse, what happens to them at fusion, that is what is am modelling. is not different than its nucleus, and this indeed seems to be the case with hydrogen: a proton is hydrogen. The atomic nucleus is the same matter as the whole atom. Again this is so obvious. We have seemingly a paradox: an atom is both different and the same as its nucleus. nucleus. You said that the answer is both yes and no, a proton is hydrogen,yes and no. Perhaps these things are not so obvious after all even to you. a proton and an electron. And at the same time, the nucleus , a proton has spin 1/2. So it seems that it is the concept called spin which distinguishes the proton and hydrogen. A proton is hydrogen. The only way to tell them apart is their spin. That is what I am trying to argue. So that in some sense you are right that a proton is hydrogen, yes and no. As you have made it up and there is no evidence to support it, the scientific method assumes you are wrong by default, if you want to be taken seriously make a testable prediction from your "model" and compare it to reality. You have the audacity to say you are "modelling" the mechanism of nuclear fusion, when you have quite plainly not bothered to read and understand the current theory of it. Do you really think that is wise? I told you you were wrong about fermions and fusion and I have given you references to demonstrate it. There is no paradox, it is just a stupidly put question on your part. I could equally ask you "Is a lamb a sheep?". If you say yes I can object it is not full grown, so not really a sheep and if you say no I can say of course it is, it is just a juvenile sheep. The ions of a chemical element are forms of that element. There is no mystery whatsoever about that and it has nothing to do with spin. The essential difference is their electric charge. A proton has an electric charge. An atom of hydrogen is electrically neutral. Spin is neither here nor there. Obviously. Just saying it is wrong does not make it wrong. If you can prove it is wrong, then it is wrong. Crackpot gambit #102 "Prove me wrong". No, science doesn't work like that. You have made a (stupid) assertion, if you can't support it you are wrong by default. Last edited by PhDemon; June 25th, 2014 at 10:35 AM. How do you think your link showing how protons fuse proves my theory wrong? It may rather prove my theory correct. reaction is understood, but it is not. MODERATOR NOTE : This thread deals with a personal theory, and hence doesn't belong into the main physics section. Moved. My patience is running out. You have to get it into your head that there is no violation of the Exclusion Principle in this process. Firstly, there is no evidence for your notion that the two protons have to be in the same state to fuse. If you have such evidence it is up to you to show it. Secondly, it is enough for them merely to have opposite spin orientations to avoid violating the Exclusion Principle Just like two electrons in a hydrogen molecule or a helium atom. DO YOU UNDERSTAND THIS POINT? This has already been answered - during proton-proton fusion, the two baryons do not occupy the same quantum state, hence the exclusion principle is obeyed. Can I suggest that, if you are here to learn something and/or obtain constructive feedback as to your ideas, you take heed of what is being explained to you. No existing theory can explain how fermions fuse. Not correct. For example, the aforementioned proton-proton fusion is an elementary quantum mechanical process. If current theories weren't able to explain this, don't you think someone would have noticed by now. You did not show why my theory turning fermions into bosons is wrong. Can you explicitly show that this is possible without violating conservation of spin, angular momentum, and the spin-statistics theorem ? I would very much like to see a mathematical derivation and proof here, not just a claim. How do you crush an atom?